Henry Fawcett (1833-1884) lived at No 8 The Lawn (which ran parallel to South Lambeth Road, between Lawn Lane and Fentiman Road). It was Fawcett’s special wish to form a park on the site. 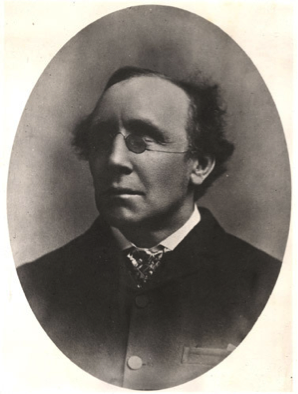 Fawcett was a Member of Parliament, an educational reformer and an economist. He became blind at the age of 25 when his father’s shotgun accidentally discharged while they were partridge shooting. This mishap did not stop him becoming Postmaster General. During his time he inaugurated the parcel post, improved the system for postal orders, the Savings Bank and insurance. He also did much to encourage the Post Office to employ women. It was Fawcett’s special wish to form a park on the site of his home so, after his death in 1884, his widow Millicent Garrett co-operated with Octavia Hill and the Kyrle Society in the formation of Vauxhall Park. 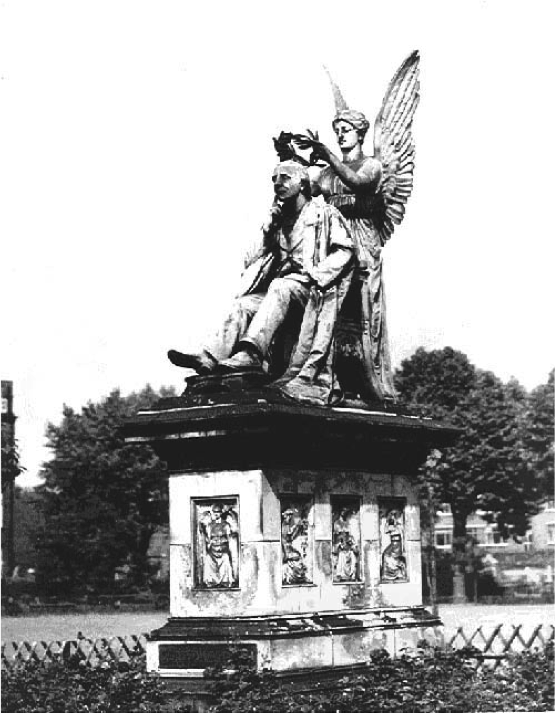 Sir Henry Doulton donated a statue of Henry Fawcett and this was erected on the site of his house. It was modelled by the sculptor George Tinworth (1843-1913) and made at Doulton’s Lambeth factory. Tinworth was noted for his reliefs so it is not surprising that the statue stood on a pedestal with relief panels depicting Justice, Good and Bad News, Sympathy, Courage, Truth, India and the Post Office. It was unveiled on 7 June 1893 by the Archbishop of Canterbury. Unfortunately the statute was removed in the 1960s but its head is reportedly preserved in the Henry Fawcett Junior School. A drinking fountain with a model of Fawcett’s head survives in the Victoria Embankment Gardens. The question remains: what happened to the pedestal panels? 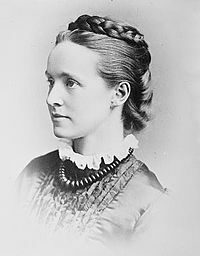 Millicent Garrett Fawcett (1847–1929) was the daughter of Newson Garrett, a ship owner and radical and the younger sister of the pioneering physician and educator Elizabeth Garrett Anderson. She married Henry when she was 20 but quickly became involved in the women’s suffrage movement and gave her first speech on the subject in 1868. She was not a militant suffragette like Emmeline Pankhurst but became president of the National Union of Woman’s Suffrage Societies in 1897. Millicent was a founder of Newnham College, Cambridge (established 1871). In 1901 she led an inquiry into the condition of women and children held in internment camps during the Boer War. She received the Grand Cross, Order of the British Empire in 1925 and during her lifetime wrote numerous books on politics and women’s suffrage as well as a number of biographies and biographical essays.